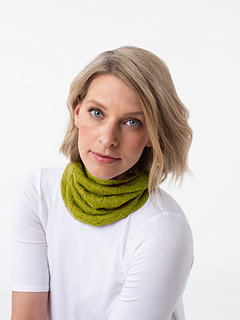 Lunar this cowl is quick to knit and easy to style. The perfect travel friendly project. Sunstone is worked in the round with 1 strand of Lunar, starting with a Rotated Long Tail Cast-On. 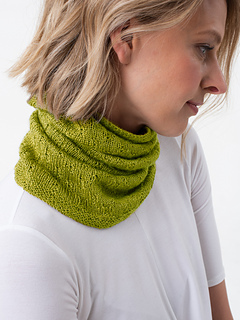 A Garter Stitch edging leads to a simple 1×1 Cross stitch pattern on a Stockinette Stitch background.